Situated in the beautiful Presidio National Park with breathtaking, panoramic views of San Francisco Bay, Presidio Wine Bunkers are the city's only underground wine storage vaults available for individual wine collectors. Now fully recommissioned to provide optimal temperature and humidity for professional, long-term cellaring of your precious liquid assets, these historic bunkers are now open for private and commercial use, and can accommodate a few cases to thousands. 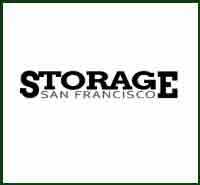 Unlike warehouse storage facilities, Presidio Wine Bunker's nature-controlled environment is immune to power outages, system breakdowns, or attendant negligence. These underground bunkers require no air-conditioning. They provide an ideal wine-aging temperature of 55° to 59° F, humidity from 70 to 79% and minimal light or bottle disturbance, allowing wine to fully mature without the ravages of oxidation. Europeans learned centuries ago that underground caves, whether natural or man made, are ideal places to age wine. In the days of the Roman Empire, Romans stored wine in catacombs. France’s first wine caves were abandoned crayeres, from which Roman builders had excavated limestone blocks. Today, the highest concentration of wine caves in the world is in Napa and Sonoma, where almost a quarter of the 450 or so wineries have wine caves solely for their own use. 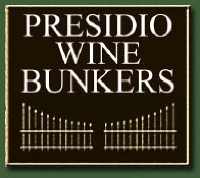 Presidio Wine Bunkers now provide the private wine collector the same underground storage. Imagine yourself cresting Presidio's Rob Hill just as a streak of silvery fog frames the Golden Gate Bridge against a bright blue sky. Eucalyptus and lavender scent the air. You've discovered something more than just a wine storage facility, you've found an ideal location for bottle and soul. Presidio Wine Bunkers are located just south of Rob Hill on the site of Stotsenburg and McKinnon batteries, side-by-side facilities originally built as 12" mortar placements at the turn of the 20th Century, and named after heroes of the Spanish American War and Filipino insurrection.